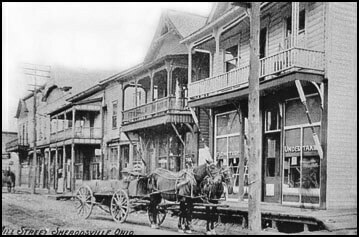 The Baxter-Gardner Funeral Home began operations as a storefront undertaker parlor on the boardwalk of downtown Sherrodsville by Sam Rippeth in 1907. The funeral business was transferred to its current location after the great fire of 1913 destroyed the facility. The business then transferred ownership to Edward and Alta Baxter. Edward Baxter (Sr.) died relatively young and the business was operated by Mrs. Baxter under the auspices of a "Widow's License" until Edward L. Baxter (Jr.) completed his education in 1938. They retained ownership until Ed Baxter's death on December 1, 1988. James D. Gardner, the current owner and director, purchased the business from the heirs of Ed Baxter at that time. The name was changed to Baxter-Gardner Funeral Home on January 1 of 1991. James D. Gardner has been involved in the funeral service industry since 1981. He has held dual Ohio licenses since 1985.